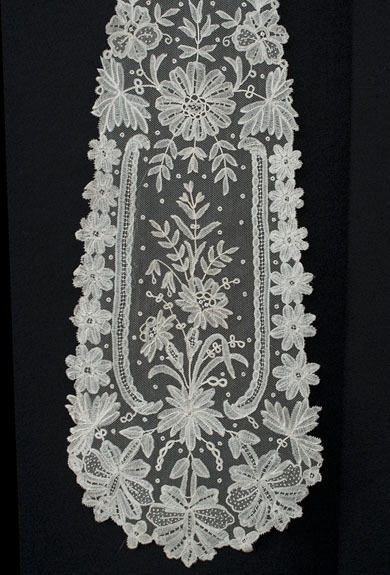 This treasure of needle art is worked in very fine linen thread that has darkened to a pale beige color. The oversized lappet can be soaked to make it lighter. 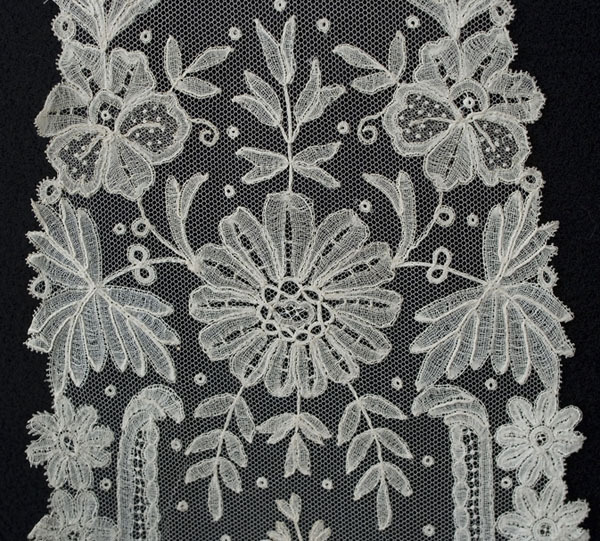 The design combines floral bouquets of handmade bobbin lace with handmade needlepoint lace buttonholed rings that are hand appliquéd to a ground of fine net. 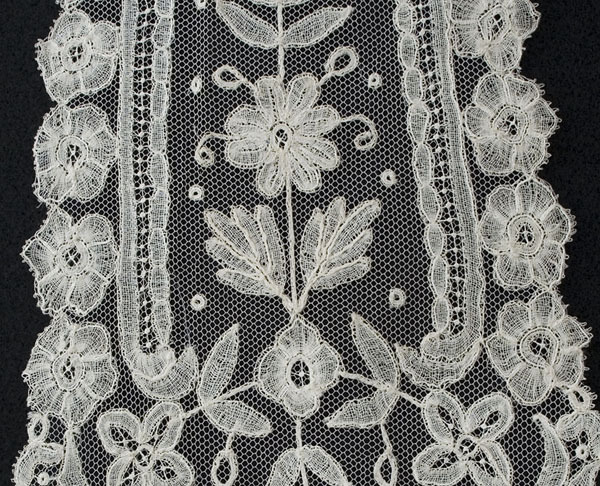 The intricate floral pattern is worked in the finest possible thread, curving to accommodate the shape of the pattern, and creating an ethereal quality not found in coarser machine copies. 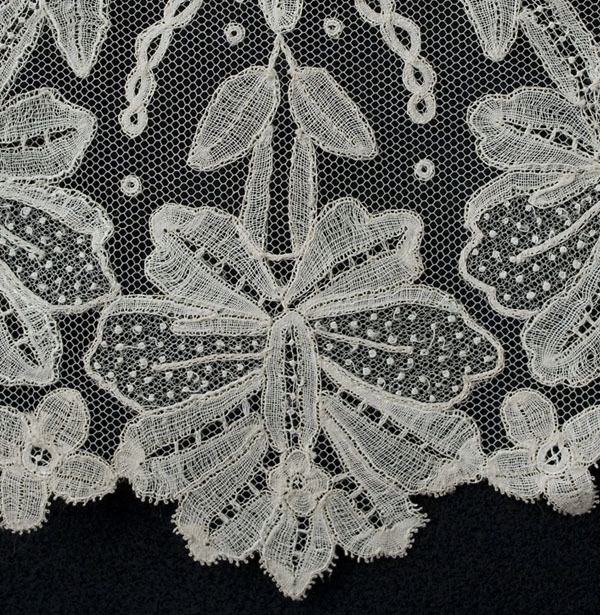 The exquisite lappet can be used to fashion a unique wedding veil. The rest of the veil could be plain tulle. 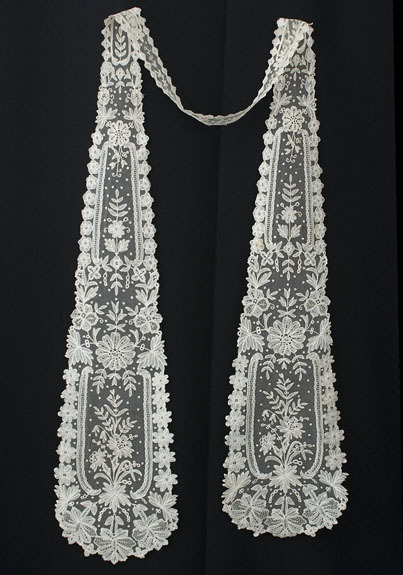 What could be more beautiful on your special day than having your face framed with romantic antique handmade lace! The condition is almost excellent. I found two tiny mends that are virtually invisible. The mends were not picked up by the camera. The total length is 89". 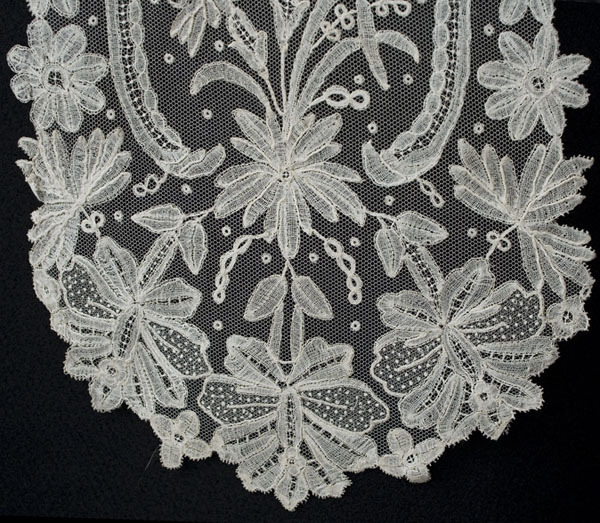 The lappet is 8 1/2" wide at the ends and 1 1/2" wide at the center-back.